After that, though, the case doesn’t really start until you finish medical treatment. Whether you are discharged at 100%, or your doctors tell you that your are at MMI (maximum medical improvement), in general, it is not a good idea to try to settle your case until you are done with medical treatment. When you finish, your lawyer will order final medical records and bills, and the clock starts ticking. In general, I tell my clients that it takes 30 to 60 days from the time they tell me they finished treatment to the time I can get a demand letter out. This time will be shorter if the medical records come into the office quickly, and it will be longer if the hospitals or doctors need a little more persuading. 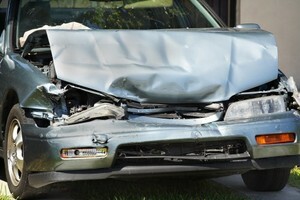 Once the demand letter goes out, the insurance adjuster will usually evaluate it within 30 to 90 days. Anything earlier than 30 days is fantastic–45 days is a fairly typical response time. Then, we begin negotiating the case. This can happen over the course of hours, or may take a few weeks, ordinarily. If the insurance company is not willing to negotiate in good faith, or if my client doesn’t like the settlement offers (the decision on whether to settle a case is always yours–I’ll give you my recommendation, but you get the final say), then we file a lawsuit. If the case does settle, you will usually have your money within 30 days. The insurance adjuster and I have to agree on language for the release, and you have to sign it. You will also sign a power of attorney (allowing me to deposit the insurance check into my safe lawyer escrow account, from which I will write you a check), and a settlement and disbursement spreadsheet (showing where all the money goes, including attorneys’ fees and expenses, medical expenses and liens, and you). I send the release back to the insurance adjuster, they send me the check, I deposit it into my escrow account, and write you your check about two days later. See What to Expect When You’re Suing, Part II: Trial.